The M1117 Guardian Armored Security Vehicle, or ASV, is an all-wheel drive armored vehicle for use by the United States Army Military Police Corps. 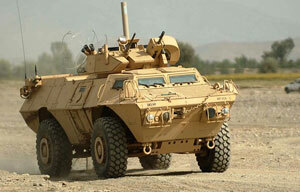 ISO Group provides spare parts and solutions for all M1117 variants. ISO Group has experience in the M1117 Engine Assemblies, Drivetrain, Transmission, Wheel Assemblies, Electrical Assemblies, Weapons Systems, and Accessories. Follow the links below or call for more detailed information.